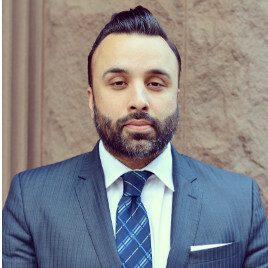 Toronto criminal defence lawyer, Jag Virk provides vigorous representation and support to his clients as they navigate our complex criminal justice system. Mr. Virk represents clients charged with all Criminal Code offences and appears for his clients at every stage of the process – From Arrest, to Bail Hearings, Trials, Appeals, 524 Applications, Resolution Meetings with the Crown Attorney, Judicial Pre-Trials and more. Every case is different and every defendant is unique. Jag Virk has a proven record of success in attaining the withdrawal of criminal charges and acquittals (Not guilty rulings). Sometimes, given the weight of evidence against you and your previous history (Existing record, previous trouble with the police, etc.) it is unlikely the Crown will agree to withdrawing charges or that any defence lawyer could achieve a favorable verdict. In these instances, the best one can hope for is negotiating a plea to a lesser charge or sentence or utilizing creative measures such as diversion, or the Alternative Measures Program. Whatever the circumstances of his clients or the evidence against them, Jag Virk and his team are there every step of the way, with their years of criminal defence experience, to work towards obtaining the best possible outcome. Dealing with criminal charges is a daunting and stressful ordeal. For this reason, it is absolutely imperative that you have the right Toronto criminal defence lawyer by your side. You want an experienced criminal lawyer who will ensure your rights are protected within the justice system. Jag Virk is known as a dynamic criminal defence lawyer who is persuasive, powerful and passionate in representing each and every one of his clients. As your defence lawyer, he will provide you with a full and robust defence. You are not guilty until you are proven guilty. Access to justice is an enormous challenge in our system. Jag Virk brings his years of courtroom experience to every case. His clients benefit from inspired strategies and defences that are fueled by his tenacity and belief in the most admirable, hallmark tenants of the Canadian justice system – That clients are innocent until proven guilty. That the onus of proving guilt is on the Crown. And that in prosecuting – The rights of the accused are never violated at any point in the process. As a respected criminal defence lawyer in Toronto, Jag Virk has the legal expertise it will take to help you get through this troubling time. Contact Jag Virk Today at 416-619-0437 to Discuss Your Charges.